Once upon a time I refused to join Facebook and barely used a computer. Now I manage 3 email addresses, 2 websites, a Linkedin profile, a vimeo profile, a Youtube account, and a professional blog... in addition to this one. Ugh, I'm exhausted just thinking about it. It seems I'm becoming one of "those people" - constantly connecting in an attempt to spread the love for my new business and my blog. Love it or hate it, on this day when Facebook is likely to become the most highly valued tech IPO ever, the effect of social media on our world is undeniable. It's no wonder I've officially quit internet dating... at least for now... but that's another post altogether. All the upkeep can feel like a full-time job, and I'm not sure I want to be attached to my iphone like that kid on the cover of Time is attached to his mom's breast. It's a little overwhelming but I'll get the hang and so can you. Trust me, if I can do it, you can do it. I've gone from being the least tech-savvy person I know to, well, being moderately savvy. I'm finally biting the social media bullet and making the move to Twitterville. I've opened two Twitter accounts... one for littlemissmojo (@alittlemissmojo) and one for WORD-OLOGY (@WORDOLOGYnyc). You can now see my live LMM feed to the right... FOLLOW ME!!! Sometimes I see something inspiring or want to share a quick quote without writing a whole post or over-exposing myself on Facebook. Twitter is the perfect forum for that. I have no idea what I'm doing yet. Haven't even reached out to find followers, but I've gotta start somewhere. I love being limited to 140 characters on Twitter... in case you haven't noticed, keeping it short isn't exactly my forte. And considering attention spans are shrinking by the minute (including my own), I'm continually aiming for quality and consistency over quantity. That really is the trick to promoting anything online... consistent, original content. The beauty of all of this accessibility is that all of your questions are accessible online. 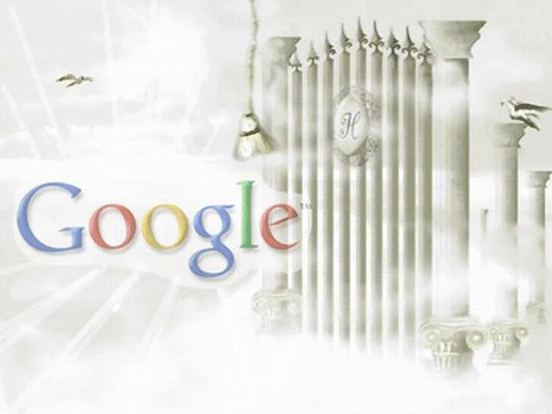 The Google gods know all... get acquainted. If you're contemplating the move to Twitterville, check out Mashable's Twitter Guide for step-by-step instructions on becoming a Twitter master. Or just open an account and jump right in! The most important thing to remember in all the connecting is to be genuine. We're all inundated with information and stimulation, so whatever you're spewing, spew from the heart. The social media wave is incredibly powerful... use it to spread some good!! !